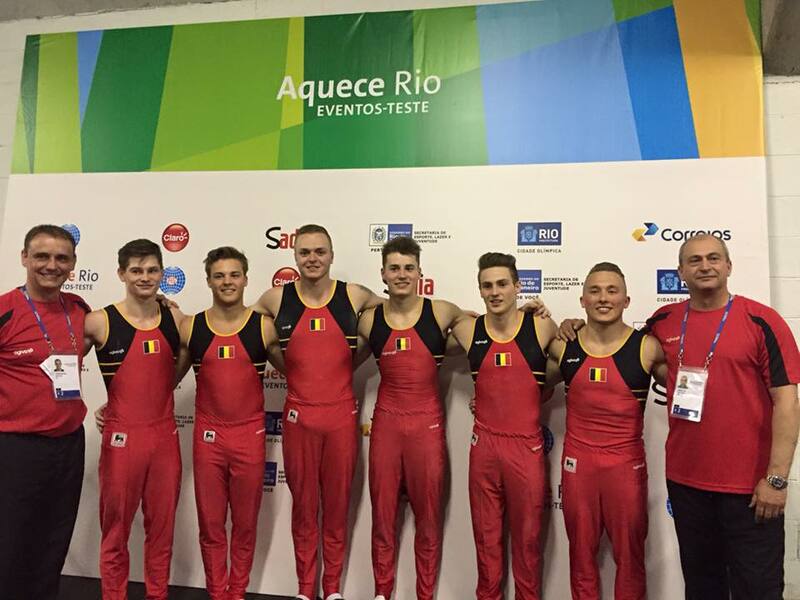 Belgian Gymnastics: My 2016 Highlights! In a few hours, we will say goodbye to 2016 and welcome a new quad. So it is time for me to have a look back on 2016 and reveal you my best moments' Top 5 of the year! Don't hesitate to share yours with me! This year has been pretty amazing in terms of results but of course, the highlight was our Women's team placing 3rd at the Test Event and qualifying for the Olympic Games in Rio for the first time in 68 years! In Rio, Gaelle Mys, Laura Waem, Nina Derwael, Rune Hermans and Senna Deriks had a nearly flawless qualification round and placed 12th. The Men's team didn't qualify a full team for the Games and all of our hopes lied on Dennis Goossens' shoulders, his secret weapon for amazing performances on the rings. And the young gymnast didn't disappoint as he qualified for the rings final, where he placed 8th, among one of the strongest field in the world! 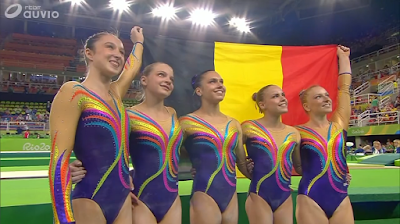 No other Belgian gymnast had ever qualified for an individual final at the Games. On the women's side, first year Senior Nina Derwael qualified for the all-around final after scoring her personal best during qualifications with 56.532, a personal best she almost beat once again in final, before she had to count a fall on balance beam. But still, with a total of 56.299, Nina Derwael placed 19th, the best result ever achieved by an individual gymnast at the Games. It is no secret that our Men's team keeps improving. After competing in a pre-Olympic World Championships for the first time in 2015 and reaching their best result ever (17th), they benefited from the withdrawal of the Belarus team and got to compete at the Test Event, once again a first. In Rio, they were far from being ridiculous, being at the top of their game and placing 7th. This year, we saw some of the best Belgian gymnasts say goodbye to the competition : Gilles Gentges, Donna-Donny Truyens and Thomas Neuteleers. 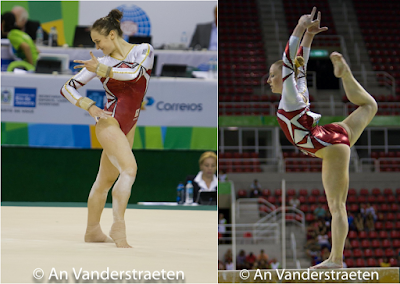 But also Julie Croket and Gaelle Mys, two of the top gymnasts of the WAG team. Julie Croket gave it her all to comeback one more time, after being sidelined with injuries for so long. She was a great contributor to Belgium's qualification for the Olympic Games as a team. She last competed in Rotterdam, before embracing a coaching career in Ghent. Gaelle Mys shone once again in 2016, making the Test Event, European and Olympic team. In Bern, she qualified to the beam and floor finals, two events where she contributed heavily in Rio at both the Test Event and the Olympics. After three Olympics, Gaelle is now focusing on her studies. The next generation is already ready to shine internationally. Before joining the Seniors ranks, they got to gain experience as Juniors. On the Men's side, we remember the successes of Jonas Delvael and Ruben Marx at the International Team Cup in Berlin in March. Noah Kuavita and Takumi Onoshima then both qualified for the all-around final at the European Championships in May, while the team placed 9th. Belgium then dominated the Wase Gym Cup and our Junior team won a bronze medal at a friendly meet against the Netherlands, Italy and Switzerland. On the women's side, Rinke Santy and Maellyse Brassart both qualified for the all-around final at the European Championships, where Rinke made the top 8, placing 7th, while Maellyse was 14th. As a team, our gymnasts were 8th. The younger ones also showed great promises for the future at the Massilia Gym Cup and at the Top Gym last November. And also ... Gaelle Mys' qualification for two individual finals at Euros, Maxime Gentges' first World Cup medal in Baku, Team Belgium's medals at Gymnix, the upgrades we can see on Instagram from both our National teams, etc. What is your Top 5 of the year? Let us know in the comments!